There's a new dynamic at Trek Factory Racing DH as the team announce two new riders and a new Head Coach for the 2017 season. Trek Factory Racing will add two exciting young riders to their 2017 World Cup squad. 16 year old Kade Edwards will graduate the Atherton Academy to join the team on the Junior World Cup circuit and 23 year old Graeme Mudd will ride in the Elites. Team Director Dan Brown said: "Racing with Kade is always exciting as any one who's seen him ride will know! He first came to our attention during an Atherton Experience Day when he was just 13 years old. 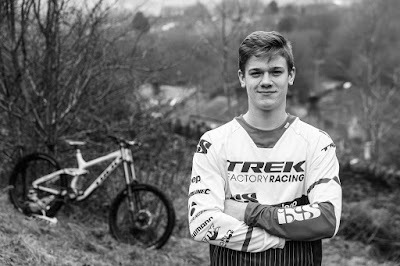 In his first year with the Academy (as a 2nd year juvenile) he swept the board with 5 out of 5 wins in the British Downhill Series. The next two years had their ups and downs, all of which have been a vital part of his progression as a rider. We're all excited to see Kade on the World Cup Circuit." Kade said: "I was so surprised and totally stoked when Browny asked me to join the World Cup team. I can't say enough what a massive learning curve the last three years with the Atherton Academy have been. Now it's time to pay them back with some points for the team and I'll be going all out to make that happen. If I can win the British National Championships and at least one Junior World Cup this year I'll be over the moon." Aussie rider Graeme Mudd bids farewell to life as a privateer and will base himself at Atherton HQ in North Wales for the 2017 season. Gee Atherton said: "We're always alert to emerging potential and there were some flashes of brilliance in Muddy's 2016 season, it was obvious that he was our kind of hard-wired racer. At Hardline we got the chance to spend some time with him and the whole team became huge fans. We're really looking forward to seeing how the increased support impacts on his 2017 results." Muddy said: "2016 felt like a real turning point for me and I gained a lot of valuable experience but I know that with some more resources behind me I can be sitting at the pointy end of the results lists a lot more often. I am totally stoked to be riding with Trek Factory Racing DH, I'm beyond excited to join a team whose passion and desire for success is everything I've ever dreamed of. I'm about as good a guy who has just landed his first gig in the World Cup team could be!" But it's not just the rider roster that's' been transformed this season. Announcing Nick Grantham's appointment as the team's new Head Coach, Dan Brown said: "We interviewed a number of very high-level candidates but Nick's down to earth approach and his 20 years experience of working across 35 different sports coupled with his successes as a Nike Trainer really grabbed our attention. His coaching CV stretches from Olympic Gymnasts to professional golfers and his current work as Head of Strength and Conditioning with a Premiership Football Club. We've deliberately gone outside of the expected industry pool and already we're enjoying the benefits of applying a completely new philosophy and methods." Nick Grantham said: "I share the ambitions for the team so like them I'm excited for 2017 but I'm under no illusion that we have work to do. We've already identified several areas where we believe we can chase improvements. We'll build on the excellent work put in place by outgoing Strength and Conditioning Coach Alan Milway and Darren Roberts before him but we can't sit back and do the same old, same old. I've been impressed at the rider's openness to new ideas and the enthusiasm they've brought to training and testing and I believe they have the ability to kick on again to a new level of performance." 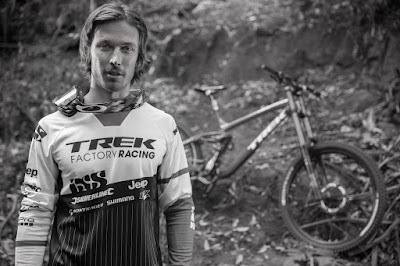 The Atherton family will remain at the heart of Trek Factory Racing DH. 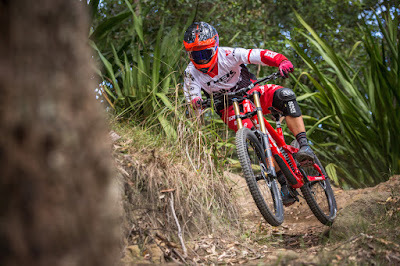 Rachel Atherton hopes to continue her run of 13 consecutive World Cups and 2 consecutive World Championships and Gee is focusing on an intense regime of shoulder rehab after a frustrating 2016 for the double World Champion. Dan Atherton remains the "guiding light" of Atherton Racing, mentoring the team, the academy riders and sharing his vision and world-class bike handling skills with both siblings and new recruits. He will continue building epic tracks for the team's film projects and events such as Red Bull Hardline. Behind the scenes Team Director Dan Brown takes the rein for the 11th consecutive year with Joe Krejbich continuing as Head Technician for his 4th season with the team. Pete Michaliszyn wrenches for Gee for his 7th year. Gill Harris heads up communications and stuff for the sixth year running. Doug Jones and Laura Robson of Altius Healthcare will take charge of physio and rehab for the fourth year running. Rachel Atherton said: "We're so lucky to have the consistency of this great team behind us, year after year we're free to concentrate on riding our bikes." The team are delighted to head into 2017 with the same brilliant sponsors as 2016. Gee Atherton said: "Working with Trek Bikes this year has been an absolute revelation, their level of expertise and responsiveness has blown us away." Long term supporters Red Bull, Silverline Tools, Fox, Shimano, Jeep UK, IXS Sports, Bell Bike Helmets, Muc-Off, Stages Cycling, Hopetech, Bontrager, GoPro, Oakley, Polished Racing, Douchebags and DG Mills remain an integral part of the Trek Factory Racing DH set up.